Ford key replacement is not really as easy as it used to be when most car keys are still in basic and standard form. These days most keys are designed with in-built chip and a transponder, which requires programming before the key can function completely. But do not bother about that, because there are experts trained in the cutting and programming of these keys. 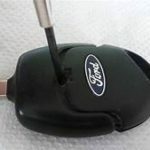 The professionals can provide the perfect Ford key replacement for your car within a very short time. This article provides an in-depth explanation of the different ways you can replace your keys, the information you are expected to provide, and how much you are expected to pay. Whats the process for Key Programming? We all know that ford is a giant in the America auto industry. The car brand has continued to roll out premium quality car models unmatched by any other brand in the industry. All parts of the car function effectively to provide the perfect ride to car owners, commuters, and travelers. The car key in particular is synchronized with the door opening and the ignition to provide maximum security against theft. But sometimes your car key can be broken or misplaced. When this happens, there is no need to be downcast or unhappy about it. There is a solution. Key programming is simple and quite easy, even if you have a transponder type of key. The cost may vary. But you are sure to get the right type of for your original car key. With the improvement of safety and security in car technology, transponders have now been introduced in car key technology to boost the security system in the car. But a professional locksmith should have the machinery, technology, and tools to craft any type of ford key. If the right information is provided by the car owner, you should be able to get your key programmed within few hours. Most ford cars designed after late nineties usually have a transponder key, which is used to disarm the immobilizer at the ECU of the engine. A professional locksmith can provide the right key programmed and help you synchronize your new car key wit your engine so that it accepts it. All you are required to do is to provide the model information as well as the year of manufacture and VIN of the car. Some of the models with transponder features include explorer, focus, escape, f150, as well as fiesta. There are so many ways you can go about replacing your keys when you misplace or damage it. You can go to the locksmith in your area to find out if they have the right ford key replacement. These have their benefits and shortfalls. If you want to search online f, the most basic place to go is at Amazon. At the “my garage” section, you will see a lot of key options for different models. At Amazon, you will need to provide information about the model, design, and age of the car. Then the site will provide lots of options that fit the description you have provided. However, the programming of the key is not done, so you will need to do it yourself with the help of a manual. What you get at Amazon or other online retail outlets is the key with no programming done on the keys. This is why they are usually cheaper. But you wouldn’t want to take that option if you don’t have an idea of how to program the responder to be able to unlock your car. Plus you may need to wait for 2 to 3 days before the key arrives. You may not have that much time if you need the key in a hurry. A better option will be at a locksmith where they can help you craft out a perfect replacement along with the programming of the new key. A locksmith can provide focus, ford chipped key , and any other type of key replacement you need. Although this is a more affordable option than contacting a car dealership, there is a risk of running into an unprofessional locksmith who may not do a very good job. Moreover, some locksmiths may not have the right type of ford replacement key fob for your , unlike at Amazon or a car dealership where there are different options. But if your model is very popular, a locksmith should be able to provide the right key. One very good benefit of getting your key from a locksmith is the fact that they are pretty fast and can get you the right replacement in a matter of few hours. This will be an ideal option if you’re in a hurry or you misplace your car in another town while traveling. What does the Dealership do? Dealerships are certainly the most expensive option. But they provide a high standard and can get you the right key for any type of car you have. All you need to do is provide the vehicle identification number. This is because they want to make sure the car actually belongs to you. You will also need to provide information about the car’s model and year of manufacture. Once you get them the information they need, your key will be available within a day. Dealerships charge a premium price when replacing your key. This is because they use the machine and program your fob to work in line with your car’s ignition. This technical service they provide along the key inflates the cost. If you want the best service, with a higher price, dealership is high priced option for you. If you buy only the cut-out key from online store, you can actually program the newkey. But this is only possible if you still have the spare key. With the blank key and the original, you can follow some steps and use some system to program your key. Some systems that can help you program your ford car include SYNC, E-PATS, PATS, and PATS II. When you follow the instructions, you should be able to manually synchronize the key with your car’s ignition system. But of course, most car owners don’t bother with a spare key when they still have the original. Unless they have completely misplaced them, they may not trouble themselves about seeking for a replacement key. Do not wait until you misplace your key before seeking for a backup set. Having a duplicate key is not a bad idea even if you still have the original key with you. A spare will come in handy if you mistakenly lock yourself out and you need to use the car. In this case, you don’t have to call a professional locksmith to open the car for you. . This will save you the stress and the cost of calling a professional. Moreover, it’s always cheaper to get a duplicate when you still have the original car key with you. It will be more difficult and more expensive to craft a completely new replacement key and do the programming. Most ford keys make use of chips and transponders that provide signal to the car’s ignition. This transponder is a security measure to keep your car safe and respond only to the owner. If you are using a different key to open the car, the responder will send a signal to the car’s engine and it will refuse to start. But, getting a replacement key will require programming to enable the transponder accept the new ford replacement key. This is the sole reason why most ford replacement keys are expensive compared to replacing a basic or standard key. How does Bobcat Locksmith make the spare set ? 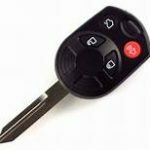 Generally, a locksmith is responsible for fixing your car key issues and providing you a new key at a cost. When you request for a key , the professional will verify that the car is actually yours by asking you to provide the car’s vehicle identification number. They will also require the make of the ford’s model and the age of the car. This information will help them easily process the actual key for your vehicle. If you have a transponder car key, the professional will reprogram the key and make it acceptable in your ignition and once programmed, your new key will work right then and there. Should I get a spare ? Actually, it’s better to have a duplicate key on hand even if your original car key is available. This will save you some stress and high expenses in the future if you eventually misplace your car key. Moreover, you are not replacing the original but a duplicate one. Generally, providing a duplicate key is far easier than crafting a new replacement key for your car. The time frame for a key varies, depending on the professional and your type of key. If you have a basic car key, a professional locksmith shouldn’t spend more than 3 hours to get you a spare set. Again, if you still have the original key but still looking for a duplicate. It will be quicker and easier to provide one for you. The professional doesn’t have to do anything much rather than cut the key to he perfect matching for the original. But if you’ve misplaced your car key, this is a different ball game entirely. The professional has to get an entirely new replacement without any original to copy. It also requires programming of the transponder, which requires time and effort. But you should be expecting to have your car key within a few hours. What is the cost of replacing ? The cost of replacing your key depends on the model. For example, Ford fiesta’s key cost will be different from Ford escape key cost. The effort and time of getting a backup set for these two cars will be different. So the cost is also different. But on average, you should be expecting to pay between $120 and $300 for basic or complete replacement. The cost will increase if there are other additional services like ignition key repair or transponder programming. Ford is a very popular car brand in the world. 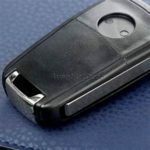 Most ford keys are well designed with security measures to keep the car safe from theft. But if you misplace your key and you don’t have a spare, what will you do? You shouldn’t worry yourself when you lost key because there are ways to seek for replacement. All you need to do is provide information about vehicle identification number (VIN), design, and year of manufacture. With this information, a professional locksmith can provide the right replacement key for your car. Bobcat Locksmith also makes the following makes and models Acura key replacement, Audi key replacement, Buick key replacement, Cadillac key replacement, Chevrolet key replacement, Chrysler key replacement, Dodge key replacement, Ford key replacement, GMC key replacement, Honda key replacement, Hummer key replacement, Hyundai key replacement, Infiniti key replacement, Isuzu key replacement, Jeep key replacement, Kia key replacement, Lexus key replacement, Lincoln key replacement, Mazda key replacement, Mercedes key replacement, Mini Cooper key replacement, Smart fortwo key replacement, Mercury key replacement, Mitsubishi key replacement, Nissan key replacement, Pontiac key replacement, Saab key replacement, Saturn key replacement, Subaru key replacement, Suzuki key replacement, Toyota key replacement.